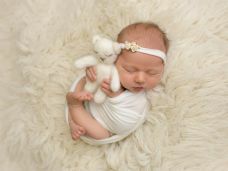 We have created a training video from one of our newborn photography shoots. Our video is viewable online and not available to download. Please note you will not be able to download this video due to the file size. On purchasing you will be given details on how to log-in to view your video as many times as you wish. We have also created a Facebook group for continued support should you have any questions following the video. Once you have purchased the training video you will be sent a link to the website to view and a password. As soon as you login the password will be assigned to your device's IP address. Should you wish to view the video on an additional device you will just need to get in touch so we can assign your password to this device. This video is the copyright of Newborn Baby Posing Limited and Newborn Photography Limited.